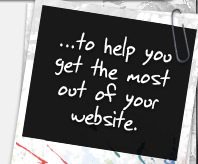 What is Search Engine Optimisation and Internet Marketing? Simply put, Search Engine Optimisation (often shortened to SEO) is the work that goes into getting your website to the top of Google™ and other search engines. In the internet's early days this concept was barely heard of, but with literally billions of websites open to the public today - it's now a vital process for any person or business that wants a strong online presence amongst or above their competitors. 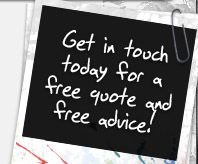 Click on one of our optimisation services below for more information. 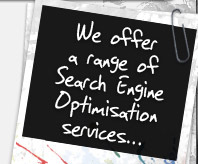 Organic search engine optimisation is the basis for all successful online marketing. 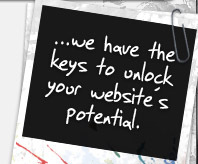 It's the process of building or maintaining a website to be naturally found by Google and other major search engines. Benefits of directory listings can largely be split into two areas; direct traffic and increasing PageRank - both being big parts of a good business SEO campaign. 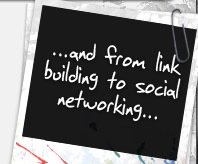 Link Building consists of scoping out websites that would be valuable to link with and then setting up a mutual link between that website and your own. 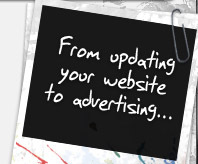 Bringing past customers back to your website or informing subscribers of special offers and promotions is a very effective way of maintaining and increasing interest in the services or products you sell. It wasn't too long ago that Social Networking was viewed to be only for the younger generation, but now-a-days is considered an immensely powerful marketing tool for businesses to utilise. PPC Advertising is probably the most expensive form of online marketing, but guarantees a fast, considerable increase in website traffic.